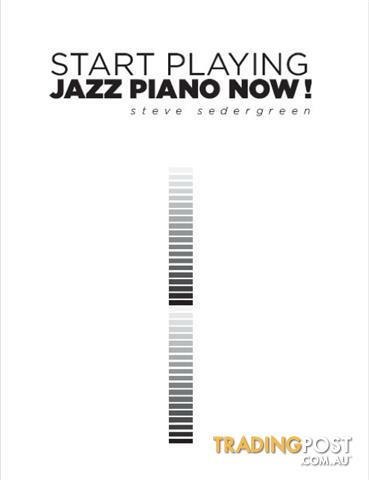 Steve Sedergreen has taught jazz piano for over 20 years, during which time he has devoted his energy to considering the best approaches to teaching jazz. All of Steve&apos;s observations and practice have now culminated in the formulation of an innovative, individual, and strong approach to teaching jazz in his book Start Playing Jazz Piano Now! If you want to learn how to play jazz piano, then Start Playing Jazz Piano Now! is the book for you. It doesn&apos;t matter how old you are, or what previous experience you have, as long as you have the rudimentary knowledge of where to find the notes on the piano and can play them, you will enjoy learning from this book. Start Playing Jazz Piano Now! can be used by students who want to learn in their own time, or teachers, as an aid in the teaching of individuals and groups.